Coastal Virginia Magazine is the premier city and lifestyle publication showcasing the quality of life in coastal Virginia. 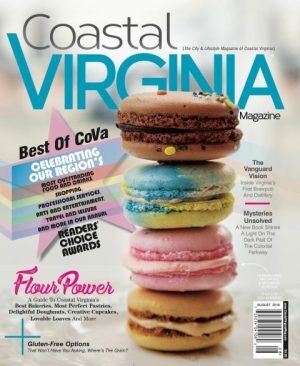 Committed to informing, enlightening and entertaining the readers, Coastal Virginia Magazine addresses issues of importance to the coastal Virginia community and examines local trends in a well-written and colorful format. Other Publications: Virginia Wine Lover, Lynchburg Living, Lynchburg Business, various bridal mags and visitor/destination guides in 14 markets.